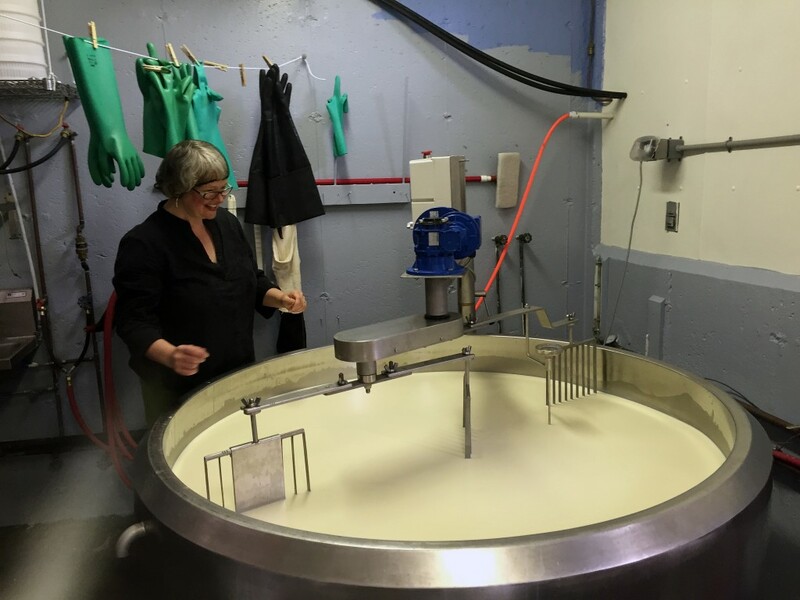 Two of Cheese + Provisions providers, Consider Bardwell and Parish Hill Creamery (below). Cheese+Provisions, Denver’s newest destination for artisan cut-to-order cheeses, salumi and gourmet grocery goods, will open its doors on Dec. 15. Located in the burgeoning Sunnyside neighborhood at 2432 W. 44th Ave., Cheese+Provisions will offer unlimited tastings of a wide selection of both new and old world cheeses; grab-and-go sandwiches; in-store cheese boards with wine, beer or champagne pairings; a curated collection of gourmet grocery goods; catering platters and a Cheese of the Month Club, complete with tasting notes and an ever-rotating offering of hand-selected cheeses. Cheese+Provisions is owned by husband-and-wife duo, Steve and Kim Duty. 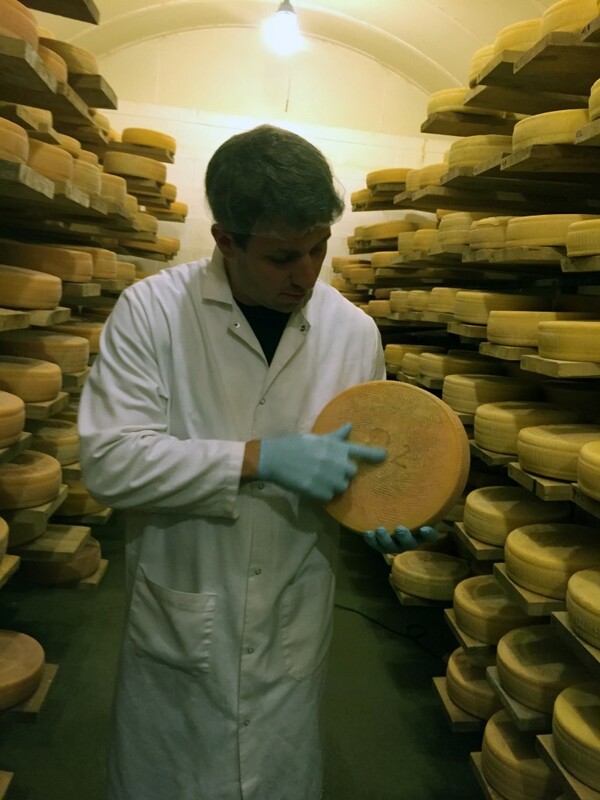 Steve is a Culinary Institute of America-trained chef and award-winning winemaker, cheesemaker and brewer, who believes every cheese has a story to tell, from farm to table. With more than a decade of experience in the cheesemaking industry, Steve served as a professional cheesemonger in two of Denver’s high-end cheese shops; led a team at Whole Foods Market’s specialty cheese and charcuterie food counter; owned and operated True Ewe Farm, his own artisan creamery and cheese-making operation, which he built from the ground up in Rappahannock, Va., in partnership with his wife, Kim and was the general manager of an award-winning winery in Virginia, which grew from 600 cases each year, to more than 3,500 under his tutelage. Setting Cheese+Provisions apart from other cheese shops in Denver is its relationships with east coast creameries who only sell their crafted cheeses to trusted partners, and a special distributor relationship with a company in Vermont – the epicenter of the American cheese movement – that is trucking pallets of cheeses directly to Cheese+Provisions. This will allow the Denver shop to stock cheeses not found in any other store in Colorado, or, in a few cases, even west of the Mississippi. Some of the shop’s New World artisan cheese partners include Consider Bardwell Farm, Spring Brook Farm, known for its sustainable practices and “Farm for City Kids” program; Woodcock Farms, a family-owned business that has been making cheese for more than 15 years and the Parish Hill Creamery, owned by Vermont legend, Peter Dixon. With a focus not only on curating unique, high-quality cheeses and celebrating the artisans behind each product, Cheese+Provisions is also dedicated to creating an engaging, educational environment in which both veteran foodies and curious newcomers interested in learning more about the sometimes intimidating, but fascinating world of cheese, will enjoy shopping and eating. Cheese+Provisions is open from 11 a.m. to 7 p.m. Tuesday through Sunday. For more than 30 years, two-time Tony Award winning actress, Christine Ebersole has captivated audiences on the Broadway stage, television series and specials, films, concert appearances, and recordings. Ebersole will perform at the Lone Tree Arts Center at 7:30 p.m. Jan. 21. Tickets range from $33 – $57 and may be purchased online at www.lonetreeartscenter.org or by calling 720-509-1000 from 10 a.m. to 4 p.m. The Lone Tree Arts Center is located at 10075 Commons St.
Born and raised in Winnetka, Ill., Ebersole found an early passion for the arts, studying at the MacMurray College in Jacksonville, Ill., before studying acting at the American Academy of Dramatic Arts in New York. She made her Broadway debut with “Angel Street” where she acted for many years before moving to Hollywood for the Academy Award winning Best Picture film of 1984,”Amadeus” and more. She won the 2007 “Tony Award for Outstanding Actress” as Edie Beale in the acclaimed Tony Nominated Broadway musical Grey Gardens. Lauded with virtually every Off-Broadway theater award when it premiered at Playwrights Horizon, Grey Gardens went on to pack its Broadway theater for more than a year, with every theater critic praising Ebersole’s bravura performance. She starred opposite Angela Lansbury and Rupert Everett in the 2009 spring and summer Broadway hit “Blithe Spirit,” has enchanted audiences throughout her performing career, from the Broadway stage to television series’ and specials, film, concert appearances and recordings. 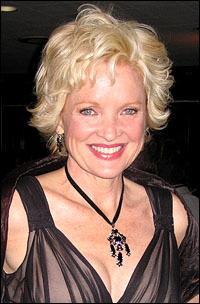 Ebersole has won critical acclaim as well as the Outer Critics Circle Award and the Tony Award for Best Outstanding Actress in a Musical, for her portrayal of Dorothy Brock in the revival of 42nd Street, starred in Dinner at Eight, garnering a Tony Award nomination and starred as M’Lynn on Broadway in “Steel Magnolias”. Ebersole has appeared in concert at Carnegie Hall with The San Francisco Symphony (PBS Special), multiple concerts with The Boston Pops, multiple appearances at The Kennedy Center Honors, a 2009 solo concert at The Kennedy Center and in virtually every city across the country. In television, she has appeared in “Boston Legal,” “Law and Order, SVU,” USA’s “Royal Pains,” “Lipstick Jungle,” “Cashmere Mafia,” “Will and Grace” and ABC’s “Samantha Who.” In film, Christine was featured in “Confessions of a Shopaholic,” “Tootsie,” “Black Sheep,” Amadeus,” “Dead Again,” “My Favorite Martian,” My Girl II,” “Folks!” “and “Richie Rich.” In addition to her television, film, Broadway and concert work, Ebersole has released 4 CDs. The Colorado Tourism Office has announced a 64 percent increase in the number of trips influenced by the award-winning Come To Life marketing campaign that ran from April to August, generating $2.6 billion in additional traveler spending. Strategic Marketing & Research Insights found that CTO’s decision to move campaign resources from spot markets to national outlets generated nearly 2.1 million additional trips by travelers who experienced the campaign, compared with 1.3 million influenced trips in 2014. SMARI also reported every dollar spent on paid media during the spring/summer campaign generated $490 in traveler spending, a 42 percent increase over the previous year. SMARI, a national research firm contracted to analyze the financial impact of travel in Colorado, found the campaign generated a 44 percent increase in spending among influenced travelers, inspiring $2.6 billion additional spending, compared with $1.3 billion in spring/summer of 2014. The campaign’s success is attributable to a variety of factors, including the move to a national adverting campaign focused on cable and satellite interactive TV, a highly targetable medium and strong creative executions. According to those surveyed, the Colorado travel opportunities that both inspired the largest number of visits and were listed as the top reasons for travel included scenic drives, state and national parks, historic sites, hiking and backpacking. The percentage of visitors who stated they visited a marijuana dispensary during their trip was unchanged from last year at 8 percent, with 6.8 percent indicating the availability of marijuana was a primary trip motivator. The spring/summer 2015 SMARI results are an indicator that Colorado is on track for another record-setting year of visitor volume, visitor expenditures and tax volume. In 2014 Colorado set all-time records welcoming 71.3 million visitors to the state who spent $18.6 billion and generated $1.1 billion in tax revenue. The CTO will announce its full research findings for the 2015 travel year in June 2016. Thirsty Lion Gastropub & Grill, Downtown Denver’s Union Station hotspot for catching the game or sipping cocktails on the patio has announced that they have just launched a brunch menu. For those who don’t like to wait hours for a table at the usual brunch locations, Thirsty Lion has created the solution. Brunch is now being served from 9:30 a.m. to 2 p.m. every Saturday and Sunday. The menu is filled with classic breakfast items including eggs Benedict, huevos rancheros, and spinach omelette, along with twists on traditional breakfast items including adobo pork Benedict, pulled pork and sweet potato hash, Spanish chilaquiles, and a favorite, Irish whiskey French toast dipped in cinnamon, whiskey, Bailey’s egg batter, coated with crunchy flakes and grilled with whipped cream and whiskey syrup. Thirsty Lion signature items created exclusively for this menu include the breakfast burrito and breakfast burger, which combines maple bacon, smoked ham and a fried egg on ciabatta bread topped with chipotle aioli. To make it the perfect brunch, add a breakfast cocktail from the menu that offers Bloody Mary selections, Irish coffee, Spanish coffee, Moscow mules, fresh-pressed grapefruit greyhound, and of course, a classic Mimosa. 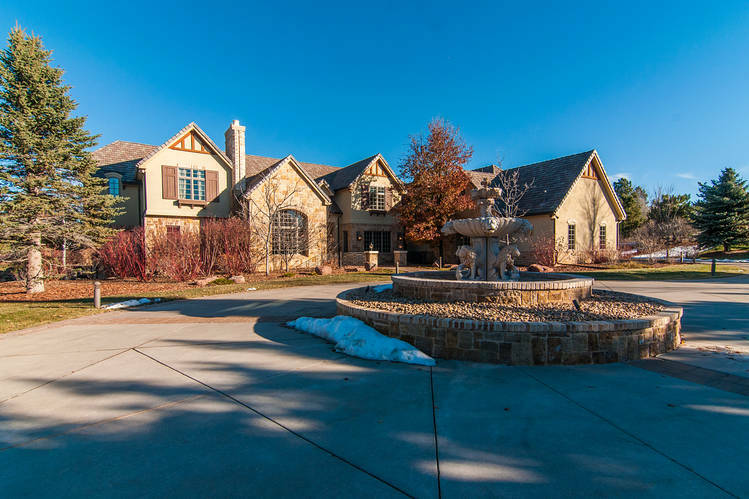 Major League Baseball star and former Colorado Rockie Troy Tulowitzki’s Cherry Hills mcmansion has just hit the market, and if you have $5.89 million burning your pocket, you could be the next owner. “Here’s your chance to purchase an incredible property owned by Major League Baseball star Troy “Tulo” Tulowitzki. Nearly 2.5 fully gated acres at the end of a private cul-de-sac in the heart of Cherry Hills Village. “Incredible grounds that offer picture-perfect mountain views, resort-style pool/hot tub, flat yard, water features, circle drive and tremendous privacy. The home features two large studies, nanny’s suite w/sitting area, 5 car garage, main floor guest suite, elevator to all 3 levels, upper master suite w/stunning mountain views, dual staircases up and down, dramatic entry and great room, beautifully functioning kitchen with cherry cabinetry with separate caterer’s kitchen, large mud room and brilliant windows throughout. More stats: The home is 14,157 square feet with seven bedrooms and 10 baths on 2.44 acres. The website listing has been taken off the Movoto site, however. Fuel Cafe, the restaurant that helped bring attention to the Taxi residential-commercial project on Brighton Boulevard, has closed after an eight-year run, according to a story posted on Eater Denver (www,denver.eater.com/2015/12/7/9859968/fuel-cafe-closed-rino-taxi-refuel). Blair’s timing is curious since traditionally restaurants that intend to close in December typically limp along until New Year’s Eve in order to reap the financial rewards of that celebration. 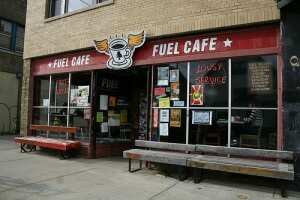 Stay tuned for end-of-the-year restaurant closures. Everyone should be able to tell Santa what they want for the holidays. 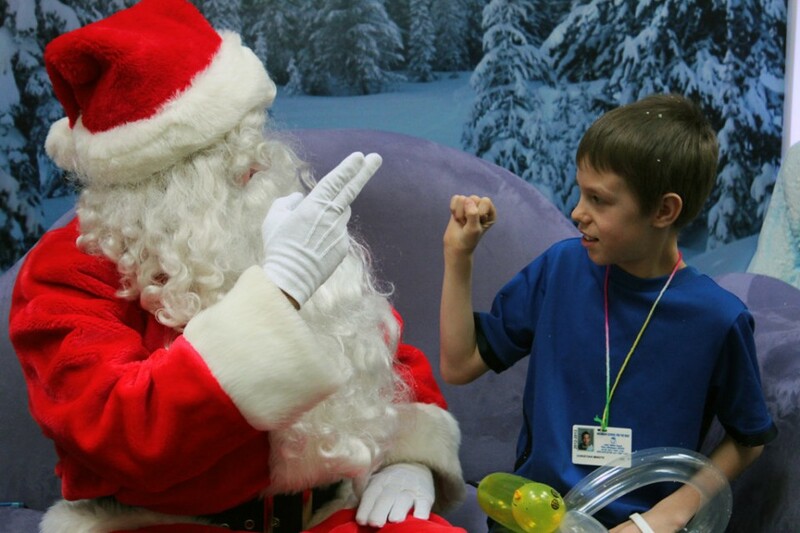 Each holiday season, Cherry Creek Shopping Center provides transportation for hundreds of deaf and hearing-impaired children from around the metro area so they can experience a very special visit with a Sign Language Santa. This year, Sign Language Santa will visit the mall from 9 a.m. to 1:30 p.m. today. Approximately 250 children from 10 different schools throughout the the metro area will visit Santa, and this opportunity is also open to the public. Santa will be stationed in the shopping center’s Kaiser Permanente Grand Court/”Peanuts” Ice Palace on the lower level just outside of Neiman Marcus. Livability.com has just released its inaugural list of Best 99 Beers in 99 Cities, and Colorado can boast the beery best in Boulder, Fort Collins and Durango. Boulder scored No. 6 for Avery Brewing. Fort Collins ranked No. 19 for New Belgium Brewing’s Fat Tire. And Durango came in at No. 33 for Animas Brewing Co., Carver Brewing Co. and Ska Brewing Co.
“While macro brewers are struggling, craft brewers are posting double-digit increases in sales and production nationwide, according to the Brewers Association. Mayors across the nation are quick to proclaim themselves ‘beer cities.’ Residents love it, and so do tourists – so much that there’s a newish form of tourism centered around the beer itself. The top 99 cities are featured on Livability.com, along with their LivScore and information about the qualities and amenities that helped them make the list.